Lorin Olivier has created a kernel driver for his GL860 webcam. Lorin’s device is the 05e3:f191 variant, whereas mine is the more common 05e3:0503. There are differences between the devices that we don’t have much of a grasp on. The code we’ve written for each device is incompatible with the other, even though there are some protocol similarities. Lorin reports that his driver works reasonably well with his device – it works with camorama, xawtv, ekiga, amsn, mplayer and xsane. He has also determined how to adjust various camera settings (luminosity, saturation, hue, sharpness, retrolighting, mirror effects, light source, AC power frequency). Although Lorin doesn’t actually own an 0503 device, he’s attempted to implement support for it based on my earlier efforts. Given that I didn’t get very far, it probably doesn’t work that well. I haven’t had a chance to try it, but there’s no point me sitting on this any longer. All credit goes to Lorin here – thanks! He’s done a great job, but do remember that its experimental code based on a reverse-engineered protocol, so don’t expect it to be flawless. More webcam hacking. I can get proper images now, minus colour. I’ve published my code: git://projects.reactivated.net/~dsd/gl860.git (gitweb interface). Nightly snapshots will be generated here. 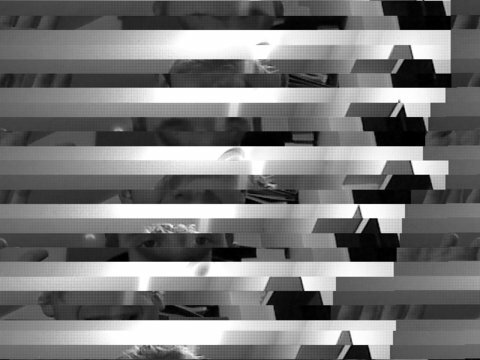 So far it just includes my experimental programs to try and make sense of the protocol and capture images. It works, sort of, but there’s a lot to be done. It also requires libusb-1.0 due to the isochronous endpoint. Only try it if you’re interested in development or are just very keen and curious. There seems to be an element of software-handled synchronization I have yet to understand. And who needs colour anyway? Although I’m not really working on the “old” code any more, I released libfprint v0.0.6 today. It fixes compatibility with newer DigitalPersona scanners including the ones in Covadis products (who kindly donated hardware to allow for this development). It also adds Gustavo Chain’s driver for the SecuGen Hamster III. Gavin Smalley donated a Veridicom 5thSense scanner, which I reverse engineered and produced a driver for. This driver is only available from the highly volatile libfprint development repository. It works well. System76 generously donated a laptop with one of the dreaded 147e:2016 UPEK scanners so that I can work on getting it supported in fprint. It’s too early to discuss driver practicalities, but I have almost figured out the image format. The laptop also includes an integrated Genesys Logic GL860 USB webcam (05e3:0503), not standards compliant and not usable under Linux. I’ll probably also be working on a driver for this device. Again, I have already almost determined the image format, but have not looked at the rest of the traffic.